Father Maurice Belvisotti, 24, was ordained a priest of the Diocese of Vercelli in 1710, and after six years of excellent service, he was offered responsible positions. Father Belvisotti felt that the Good Lord had other things in mind for him, so after much prayer and consideration, he declined the offers and applied to the Provincial of the Capuchins of Turin to be accepted as a Novice. During his year as a Novice, (May 24, 1716 to May 24, 1717) Ignatius, (his new religious name) asked for and received no exemptions. He was placed under the tutelage of a young novice who, although almost half Fr. Ignatius' age, set about teaching him in an overzealous manner all about the Order, the spiritual life and even how to say Mass. Fr. Ignatius accepted this tutoring with humility and perhaps with a bit of a smile. Once professed, Fr. Ignatius was sent to the convent at Saluzzo and was given the office of Sacristan. Then, after a short stay as Assistant Novice Master in the Novitiate in Chieri, he was sent to Capuchin Hill in Turin in 1723. Again, he was Sacristan, not an easy job in a convent with 87 priests and of course no concelebration. In 1731, he was made Novice Master at Mondovi; here he remained until 1744 when an illness of the eyes forced him to relinquish the job. Soon, however, he was well again and even though he was nearly sixty years of age, he accepted the work of head Chaplain of the forces of the King of Piedmont who were fighting against the invading Franco-Hispanic armies. Fr. Ignatius was able to win the respect of both friends and enemies by the sacramental and spiritual care he gave them as well as the medical care he administered. Once the war ended, he returned to the regular life of Capuchin Hill. He was then given the task of confessor and religious instructor to the Lay Brothers, and it was in this work he was able both to increase and to show his love for the lay brother. His natural appreciation and love for the lay brother was evident in that he did not think twice about lending a hand when he saw it was needed and even as guardian he would do jobs such as questing, which were considered to be traditionally in the realm of the lay brother. As Fr. Ignatius advanced in years, he gave his time to visiting the sick and the poor of the city of Turin. 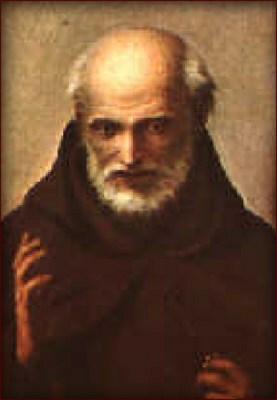 Thousands flocked to Capuchin Hill daily to receive a blessing from him or to hear a consoling word. His health failing, he prepared for death. The well-loved old friar died a peaceful and gracious death on the 22nd of September, 1770. He was age 84 and had been in the Capuchins for 54 years. He was beatified by Pope Paul VI on the 17 of April, 1966.